From the start of the show, us fans had to sadly acknowledge that the colorful cast of characters on Scream Queens are all living on borrowed time. I mean, even the ones in cahoots with the killers aren't safe. Speaking of, where the heck has Nick Jonas been since his big morgue reveal? 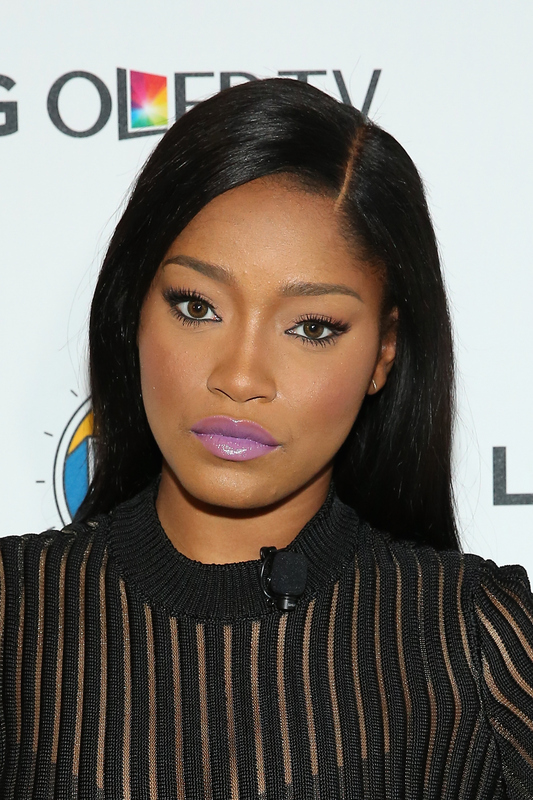 Anyway, the topic at hand is this: Keke Palmer just released a new music video for her song, "I Don't Belong To You." So, even if our beloved Zayday gets murdered, she won't be gone for good. Well, in our lives at least. I don't know if the show is going to introduce a resurrection or anything. Sure, Palmer may play a college freshman on the show, but, make no mistakes about it, in real life, she's an adult. And this gorgeously shot, slow-mo, dramatized, black and white music video is clearly representative of that. Speaking of the song itself, it's a message anyone can get behind. "I Don't Belong To You" is an unapologetic note to a dude who is trying to guilt her into something more from their casual relationship, but she's totally not having it. But that's not only what it's about. In an unexpected turn of events, Palmer not only leaves the aforementioned dude, but does so for another person entirely. One of the completely opposite gender. The video ends with the singer showing up to a house and exchanging sultry glances with another lady, before taking her hand and cheekily eyeing the camera. To sum it up? This video totally slays. You can check out Palmer's music video below. And, you know, try to absorb an iota of her overflowing talent and beauty. Despite my complete assurance of Palmer's career longevity, I have to say this: Ryan Murphy, do NOT kill Zayday, please and thank you.